upgraded with a reinforced clutch. 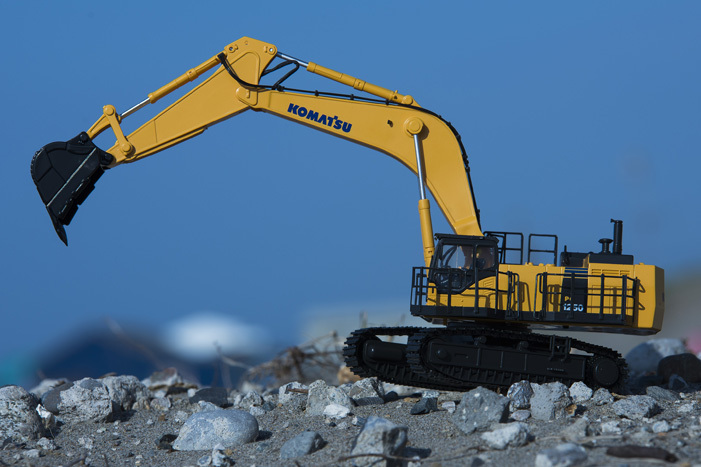 Meet the new upgraded IRC model of the export specification KOMATSU PC1250-8 hydraulic excavator with its distinctive black bucket and the KOMATSU logo emblazoned on both sides of the boom. The immaculately detailed finish is matched with realistic left/right & fwd/rev caterpillar track function, up/down boom movement, fwd/back arm movement, fwd/back bucket movement and swinging upper cab. In addition, the new upgraded model features a reinforced built-in clutch that can lift loads up to 30g as well as metal tracks that deliver improved operating stability. When you feel the heft of this model, you know its built like a hard working construction machine. A special transmitter puts the same control patterns (JIS system) of the real machine in your hands. Three (A,B,C) infrared channels allow 3 machines to be operated together. 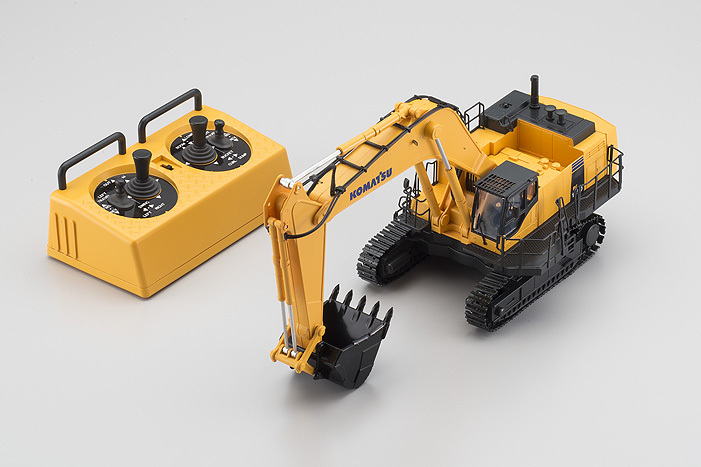 Fully assembled and finished in amazing detail, just add alkaline batteries for the transmitter and the model and the KOMATSU PC1250-8 is ready for work. 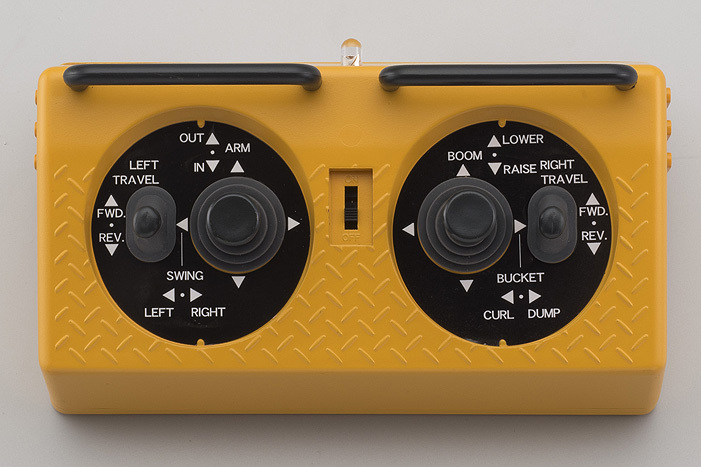 Full 6 channel control: 2ch for free left/right control, 1ch for up/down boom control, 1ch for up/down arm control, 1ch for bucket dig/dump control, and 1ch for rotating the swing cab. Specially designed infrared transmitter (IRC) provides full control with four sticks and 6 channels. Three operating channels (A,B,C) allow up to three machines to be operated together without interference. 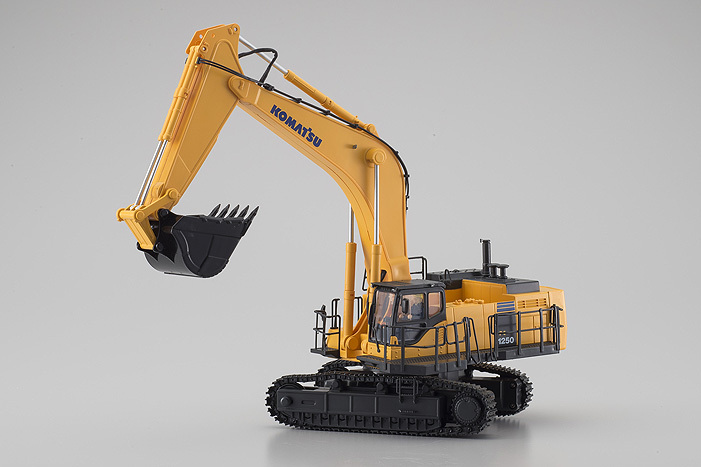 Features highly detailed finish, down to the uniform of the operator figure. 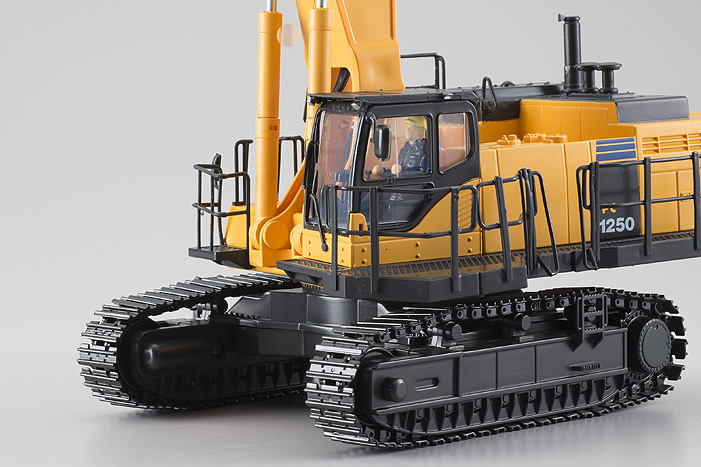 Die cast zinc alloy caterpillar tracks recreate realistic construction machine form and style. Special transmitter adopts JIS system control pattern. Compact 1/50 scale with a length of 365mm allows convenient indoor display. Highly detailed finish is suitable as an interior display model.